Moeen's first strike of the fourth innings snapped a stand worth 101 and left India at 126/4, still 119 runs away from victory. Not surprisingly, Moeen Ali got the ball to spin big, and with some bounce, to pose the biggest threat to India’s batsmen on the fourth day at The Ageas Bowl. England challenged two lbw decisions against Virat Kohli and lost their reviews, the first of which was a decision from the third umpire Joel Wilson that will certainly make headlines on Monday. Kohli survived until nine minutes before tea, when Moeen had him caught at short leg for 58 with one that bounced and kissed the glove. England roared, having found themselves on the right end of a review at last. The onus is now on Ajinkya Rahane, batting on 42, to try and finish what Kohli could not. India, 126/4, need 119 more. From the time he came on, Moeen’s spin and bounce on a fourth-day track posed the most difficulties. In the morning, Joe Root stuck in a short leg and silly point for Kohli, who mistimed a whip across the stumps and was saved by a spike on the Snickometer. England lost their first review, much to Root’s frustration because he was convinced it was bat hitting pad. Replays showed there was no inside edge, which brings into poor light Wilson’s decision as third umpire as he did not consider the possibility that the snick on Ultra Edge could have been bat hitting pad rather than ball on bat. Which, as replays showed, was the case. The second time, post lunch, a sharply spinning delivery from Moeen kept low and hit Kohli just outside the line. England’s last review was gone, and Kohli, on 17, moved on. 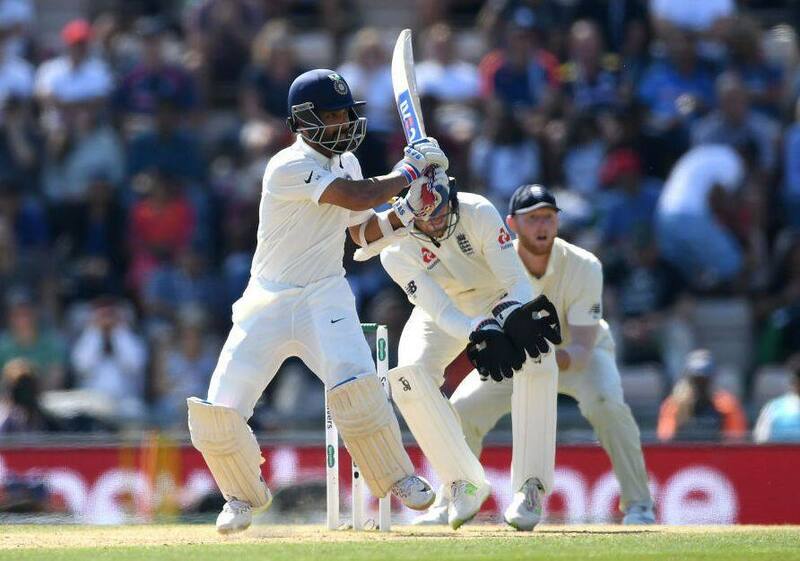 In between those two lost reviews, England were again left shaking their heads after Rahane reviewed an lbw decision against Sam Curran, bowling from around the stumps, with replays showing the ball hit him marginally outside the line. On 19, Rahane then survived a caught-behind shout from Stuart Broad, with Bruce Oxenford shaking his head. Replays, and Ultra Edge, showed nothing on the ball. The reviews done, England looked on as Kohli survived another huge appeal from Adil Rashid when he played across a googly. The afternoon session was riveting, because of how Rahane and Kohli had to deal with spin. Against Moeen, their approach was to get outside the line to remove the chances of getting out lbw. Moeen created shouts and intensity around the bat, and had both batsmen hurrying into their shots. Thus, it was odd to see Root employ a cover sweeper and a man back on the leg side. The fifty-run stand, fittingly, came up with Kohli bashing Rashid through mid-on for four. 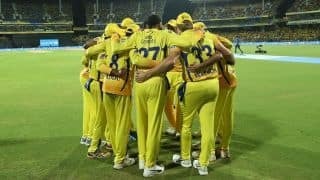 Kohli dealt almost exclusively in pushes and deflections, including the one through square leg that brought him just fifty from 114 balls – as he relied on his mental strength to carry him and India into a position from where they can hope to reach stumps unscathed. His partner for 42.2 overs, Rahane, operated with calm accumulation and plenty of leaving to keep at bay the chances of a collapse. He grew in confidence against Moeen and by the time tea was taken, had figured out how to play him very well. 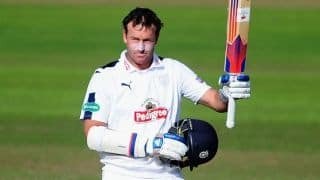 A majority of his runs came from turns around the corner, against pace and spin, which ensured that singles came frequently to add to England’s frustration. 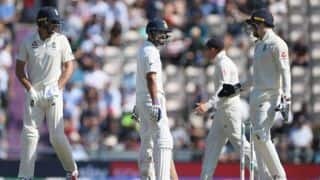 Kohli, having crossed 500 runs for the series and 4,000 as Test captain, was dropped the ball before he was taken at short leg – by the same fielder, Alastair Cook. It was fitting that Moeen broke through, because he was England’s most potent bowler on the day. 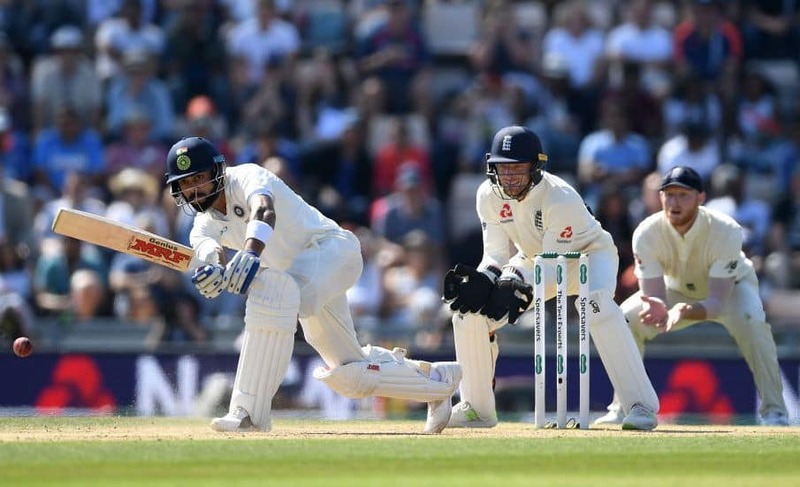 Having Kohli stride to the crease for the first ball of the eighth over was from from the start required for India when they need their biggest ever chase in England to level the series. For the second time in the Test, Mohammed Shami found himself on a hat-trick after he had Broad caught behind first ball of the morning. Next ball of Shami’s over, Curran saverted the hat-trick and moved to 46 before he was run out by Ishant Sharma, which ended England’s innings on 271 and set India a target of 245. It didn’t take long for England to strike, as KL Rahul got one from Broad that kept very low and was bowled for 0 off the toe-end of his bat. Then it was Anderson’s turn to make inroads. Cheteshwar Pujara reviewed Kumar Dharmasena’s lbw verdict, but in vain, and India were 17/2. Shikhar Dhawan, groping outside off stump, edging past fourth slip, nudging off the pads, falling over as he flicked a half-volley to the boundary, never looked confident. On 17, he nicked Anderson to gully where Ben Stokes fell to his left as he held a good catch.